At GBS, Health and Safety is a priority. 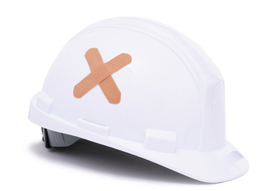 Our strict Health and Safety Policy is an integral part of our operations and ensures that all work is undertaken in a manner that protects the health and safety of both personnel working on site and members of the public. Our ongoing programme of continual improvement in Health and Safety performance ensures that we comply with all relevant Health and Safety legislation and minimises any risk from accidents or incidents arising from site activities. For a full copy of our Health and Safety Policy, please download the pdf here.